According to Ross Perlin, the author of a book titled: Intern Nation: How to Earn Nothing and Learn Little in the Brave New Economy, there are about 1.5 million internships in the U.S. each year, nearly half unpaid. Unpaid internships and paid internships are clearly a popular staple in the job market these days. As you know, internships are no new trend. They have been around for quite some time as a way for young job seekers and workers to get their foot in the door and gain some in-depth learning on the industry of their interest. Unpaid internships aren’t new either, but as of late there has been much controversy on whether or not unpaid internships are moral. Since the recession, many employers thought it clever to lay off some of their employees and replace them with unpaid students or young workers under the guise of an “internship”. This is clearly wrong, but unpaid internships can still provide a benefit for students. So as an employer or hiring manager, should you offer a paid internship or an unpaid internship? It is evident when you search through job boards and university job posts that unpaid internships are still very popular. It’s true that unpaid internships can be extremely beneficial, especially if interns are earning college credit for the work they are doing. Many universities, like DePaul University, actually require their students to complete an internship before they graduate. The internship must be approved by the professor and they must earn college credit for it. The internship and the work is closely watched, and the intern/student ends up gaining a good amount of knowledge and experience in their desired field. Back in 1938 the Fair Labor Standards Act was passed that placed a 6-point test that unpaid internships must pass in order to be lawful and fair. If the unpaid internship you offer, or are thinking to offer, does not comply with these points, then it would be best to map out a payment plan for the interns you intend to bring on. 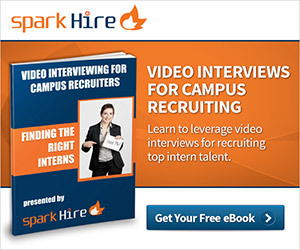 Without doing so could turn your offered unpaid internship into a costly lawsuit. If it is not in your company’s budget to pay interns on a regular basis, that’s fine but you must be sure the interns are learning something of value from their internship. If it’s clear that your interns won’t continue to learn and earn valuable experience working in just one department the whole time, then consider rotating interns between departments or offices. With this, the interns are gaining comprehensive knowledge in the industry they are interested in and get to experience the workings of different departments within an organization or company. Furthermore, if the unpaid internship route is the way you want to go still, then it is highly recommended by the Department of Labor that your internships have set durations. Meaning there is a clear start and end date. Without this, it can be easy for companies to take advantage of their interns. If you know very well that the internship you are offering will not be greatly beneficial to those that take it in terms of experience and building a skill set, then it is best you pay your interns. Ultimately, the decision is up to your company and whoever is in charge of creating these internship programs. However, those involved should know full well that interns and internships that are abused or used improperly may come at a huge cost to you and your company in the end. If you offer internships, are they paid or unpaid? What do you think of unpaid internships? Let us know in the comments section below!